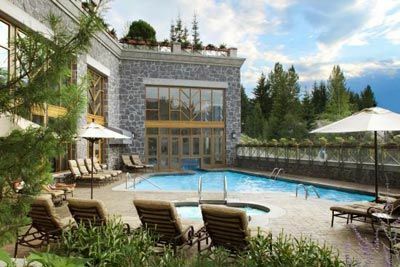 Nestled in the spectacular Coast Mountains of British Columbia, just 75 miles north of Vancouver, lies Whistler Resort, a charming alpine village located at the foot of Whistler and Blackcomb Mountains. It all begins with a glorious view of the mountains surrounding you like curtains on an endless natural stage. Come to a magical place that mixes charm with romance and natural beauty with warm hospitality. 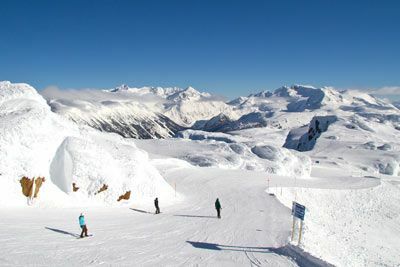 Consistently ranked the number one mountain resort in North America, Whistler features two majestic mountains, epic skiing and snowboarding conditions, more than 200 shops, as well as over 90 restaurants and bars and Whistler was the host to the 2010 Winter Olympic Games. 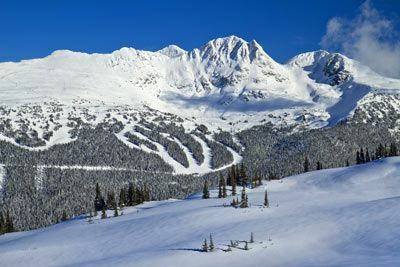 Whistler and Blackcomb offer the #1 and #2 highest lift-serviced vertical drop and largest patrolled terrain in North America. 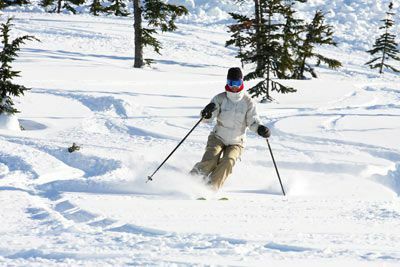 Skiers and riders choose from over 200 runs, over 5,000 vertical feet, 12 massive alpine bowls, and more than 8,100 acres of terrain catering to all ability levels. 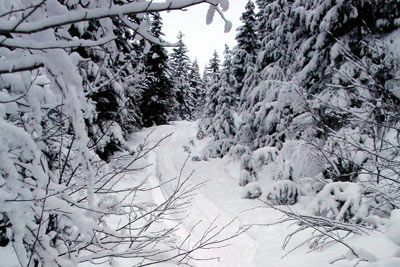 Try some aerial sightseeing, snowmobiling, ziplining, or any other number of outdoor adventures. 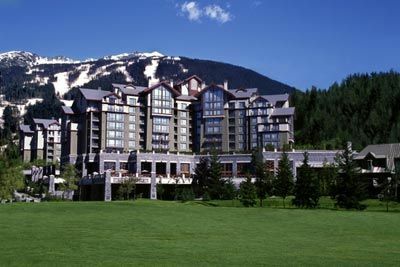 But Whistler is more than just a great place for outdoor adventures and winter sports; this town is full of arts and culture and plenty of shopping opportunities. 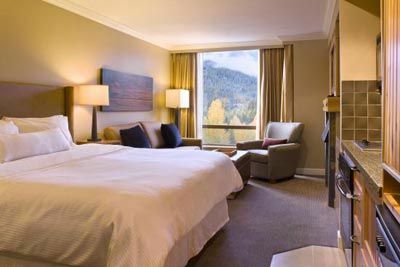 Located in Whistler Village just yards from the gondolas servicing the slopes of Whistler and Blackcomb mountains, The Westin Resort & Spa is an all-suite, full-service hotel and spa, with ski in/ski out convenience to Whistler Mountain. Relax in the renowned Avello Spa & Health Club, providing a complete experience for those seeking balance and vitality. 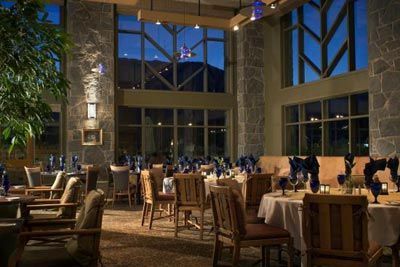 Snack and unwind at the FireRock Lounge or dine at Grill and Vine Whistler. Deluxe Studio Suites feature an open layout with one king or 2 queen signature Westin Heavenly Beds (based on availability), plus queen sofa sleeper, sitting area, fully equipped kitchen, and large windows along with many other amenities to assure a comfortable stay. Certified Registered Nurse Anesthetists: This program has been prior approved by the AANA for 20 Class A CEC; AANA Code #1037050; Expiration Date 3/22/2019. $100 January 16, 2019 to February 15, 2019. No refund after February 15, 2019; however, 50% of tuition paid may be applied toward tuition for another NWAS program within the next 12 months. Cancellation must be made in writing.